Hey y’all! I hope you had a very Merry Christmas and a Happy New Year!! It was a chilly evening and both parties were in barns, so I layered for warmth. I concealed carried my new M&P Shield in a compression-style holster I made; that was my first layer. Over that was a long-sleeved Halftee, a burgundy tank from JCPenny’s, my fabulous sequin cardigan I bought on ThredUP just for this holiday season, and an elastic/leather belt I found in the closet. I think my skirt is a hand-me-down from a neighbor. I settled for comfort and wore my brown HushPuppies brand boots. And F21 leggings, because Tennessee finally decided it’s winter now. I’ve gotten away from wearing waist-defining belts just as a personal style preference, but it really worked this evening to reign in the floppy sequin thing. I braided a section of my hair and tied a gold sparkly fern to it for even more fun. It looks weird/super obvious in the pictures but it wasn’t in person. How did you ring in the New Year? Do you dress up? Did you get anything super awesome you’re just dying to tell everyone about for Christmas?! haha update me ladies! We spent the evening with good friends playing games and talking. Lots of fun! My mom bought me a beautiful recipe card box made of acacia wood. I have been wanting one but I hadn't even asked since my birthday in September. It was a wonderful surprise. Happy New Year! That is such a pretty outfit! I hope you had a blessed Christmas as well. God bless! I love your out fit! Looking forward to seeing what the Lord has in store for you this year! Lol, was going to ask about the holster! I have an M&P shield compact, and I'd like to start carrying it. I don't wear belts, so I need different ideas! I spent New Years Eve with one of my close friends and her family, it was wonderful to get to see all of them! I rang in the new year wearing a light blue t-shirt (because winter hasn't arrived here yet), jeans, and a silver sparkly scarf and simple minimalist silver earrings from Charming Charlie. My outfit wasn't one of my best ever, but I got tons of compliments on my scarf! My family and I went to Williamsburg, Virginia over New Years which was awesome! My new favorite place! 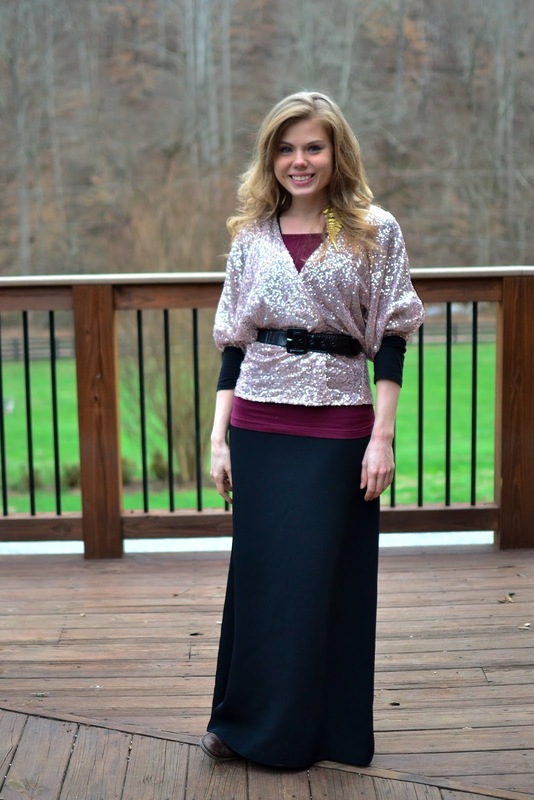 Thanks for posting… I love your outfit! Williamsburg is my hometown! I actually went to elementary school right in the middle of Colonial Williamsburg. I'm so glad you loved it! I got the new Trim Healthy Mama cookbook, which I am very excited about, and new workout clothes! I didn't look very festive for NYE, but we watched the ball drop on TV, and toasted each other with sparkling grape juice! It was fun! Happy New Year! do you always conceal carry? Super cute, as always! I'm keeping up with your blog via Instagram and Facebook, but thought I'd hop by bloggy land and say "Hey!" Oh Olivia!!! I can totally relate to the "funk" you've been in! this past year was *hard*, I don't know why. But I have never felt such a fresh "start" at the beginning of the year as I did this year! It's actually been pretty awesome the past week, and I'm so grateful!!! We celebrated the New Year by roasting marshmallows over a fire, and then praying in the New Year :). I got a journaling bible :D!!!! LifeWay is going to have a bible journaling class next week that I hope to go to, and then I'll start dabbling in that during the next bible study I do (just finished the one I was doing with some friends this morning… I'm kind of sad!). I am really excited, I've been looking into that for several months now, and can't wait to start in :D! I luv the outfits that you post!! And I think that's it's AWESOME that you conceal carry!! I can hardly wait until I turn 21 so I can open and conceal carry!!!!!! Luv your blog!! I rung in the New Year the same way I did the year before… playing a loud and rowdy game of Pit surrounded by some of my closest friends! 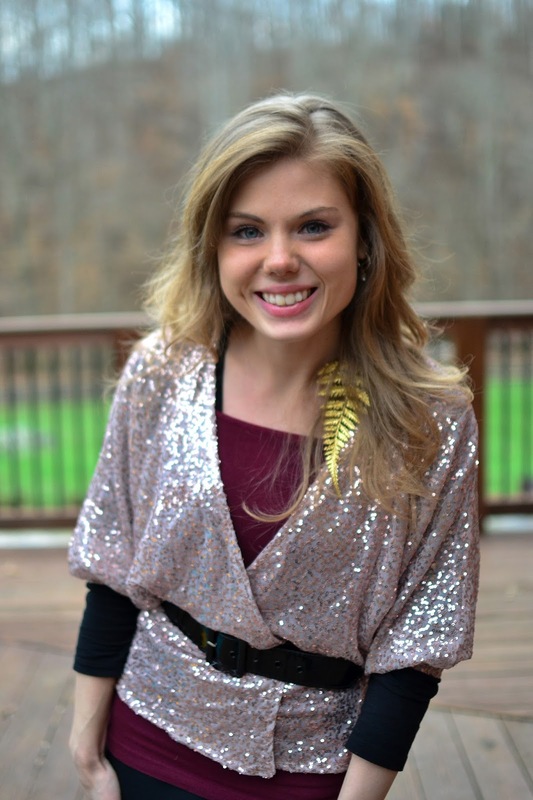 I love the sparkles in your outfit… you got to have something sparkly for New Years! That's so cool that u conceal carry??????!!!!!!!!!! LADIES AND GUNS!!!!!!!!!!!!!!!!!!!!!!!!!!!!!!!!!!!!!!!!!!!!!!!!!!!!!!!!!! AWESOME!!!!!!!!!!!!!!!!!!!!!!!!!!!!!!!!!!!!!!!!!!!!!!!!!!!!!!!!!!!!!!!!! You are so gorgeous. 🙂 Love the sparkly top! Okay, I'm insanely late in commenting, but you look lovely, Olivia. Happy (very late) New Year! Hey Olivia, Just curious if you've stopped blogging? Olivia, I can't remember the post I read of yours that mentioned clothing is not neutral. It's a force to be reckoned with. A glory. And we should use it as such. Beauty is powerful and meaningful. I think oftentimes we fall back on modesty as a restraint instead of an empowerment. I don't feel under law to have my skirts a certain length, but I recognize that femininity and modesty vibrantly displayed are more powerful, more purposeful. Especially in a world that is at war with femininity. As my father always said, "There's nothing like a girl in a dress." Don't underestimate beauty and submission on display. The world hates them both. Don't you feel that when you don a dress and a hat you spurn the course of the world? And laugh. 😉 Anyways, I thought you would like a few of blog posts I wrote about dress. It seems I don't often find people who meet in the middle. So many think it doesn't matter what we wear, and others know exactly what we HAVE to wear. But I think they both miss the force of it. The kick. Also, I've been training with my M&P Shield as well. Except I ONLY wear dresses, not skirts, and I have no idea where to conceal carry. But I do have a really cool leather holster if I want to open carry. 😉 I was thinking purse carry, but it doesn't seem safe with six kids. What are your thoughts on open carry? On one hand I don't want to be setting myself up as the authority in possible volatile situations. On the other, I would love to use it as an opportunity to force people to reconsider their stereotypes about people who have guns. Because I'm pretty sure if they saw you wearing yours they would say Amen. But Bubba wouldn't produce a similar effect. Just some thoughts.